SilicaWaters.com is an online digital marketing and e-sales website dedicated to selling only one product: Acilis by Spritzer – silica-rich rainforest water with unique functional properties for good health. We are a not-for-profit social enterprise business aimed at providing ‘health giving’ bottled water at an affordable price to families who need it, particularly those impacted by autism and Alzheimer’s disease. From professor Christopher Exley, of Keele University, who is a world authority on the connection between silica and aluminium. He uses Acilis by Spritzer in his scientific research which has proven that silica-rich water is the only way to remove neurotoxic aluminium from the body. 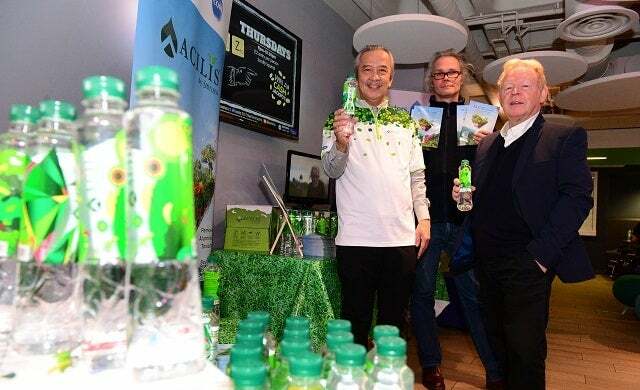 He convinced me there was a need to make Acilis available in the UK for consumers to follow his advice that drinking one litre a day of Acilis will help remove the toxicity of aluminium from the body. From professor Exley and market research. Compare CRM System Prices & Save Up To 40%! Do you already have a CRM system? Retired journalist and PR consultant. This was a new challenge aimed at helping my fellow man to try and cope with conditions like autism and Alzheimer’s in a simple, inexpensive, and non-invasive way. From a government start-up loan, delivered by Business Finance Solutions, and personal bank loans. We sell directly to consumers via our online shop, thus cutting out wholesale and retail mark-ups. This makes the product affordable for those who need it, and is in line with our business model as a social enterprise project. Digital marketing and e-sales enables margin of up to 80% compared to 20-40% through conventional high street sales. We are also using digital marketing and social media to grow awareness for sales rather than above the line advertising. The biggest challenge was from Trading Standards who tried to prevent us sharing the scientifically proven benefits of our product with the public. We entered into a DTI backed Primary Authority Partnership with our local council Trading Standards office and finally overcame this by raising the issue with our MP, and resorting to placing a disclaimer on our website. This made it clear that all references to health claims were attributed to scientific research and individual contributors, and they were not the claims of our company or product. Receiving bulk orders by the pallet load from customers who set up their own self-help groups to address the impact of autism and Alzheimer’s on their lives. Submit an application for the government Start-up Loans scheme and have faith in their own project if it benefits others. Running a multi-national sales regime, bringing benefit to millions of customers desperately in need of a simple, inexpensive, natural and non-invasive way to offset neural conditions that are rapidly rising to epidemic proportions.